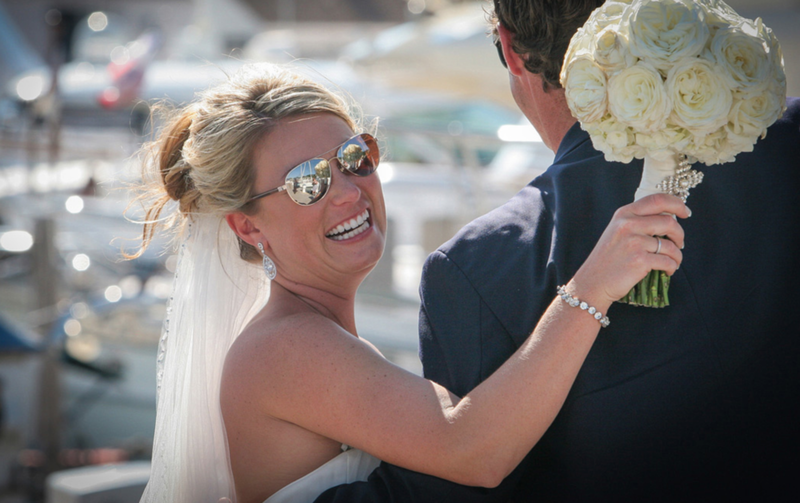 Summer weddings on Mackinac can combine some of the most amazing elements-many never considered options in the Midwest. Warm breezy days, spectacular cruise ship, private yachts, brilliant blue skies, lighthouses, horses and more! With the ceremony at the Island House Hotel front lawn, we challenge anyone who thinks a Midwest wedding might be limited to find a more stunning backdrop for saying "I Do." 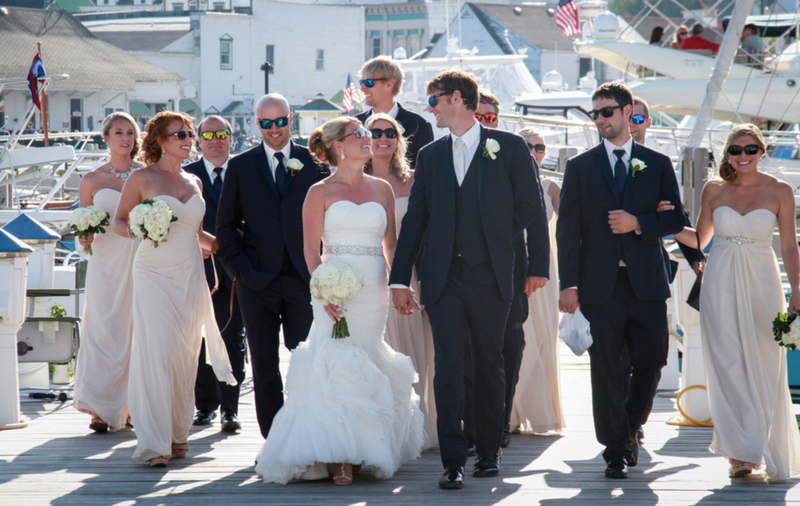 The bride and bridal party along with many guests made the Island House their choice for preparing for the big day. A dip jubilant dip on Main Street following their romantic carriage ride from Gough Carriages set the tone for the fun to follow. All that and so much more for Katie and Dan, their families and their chic, smart and fun wedding party. Nautically themed in dark blue and white, this wedding was one of the most amazing of the season.